It's been an interesting two months in regards of hardware projects. I familiarised myself with the antique AT89C2051 and BASCOM, I really like the simplicity. While this micro may be old, I find it fun to work with. 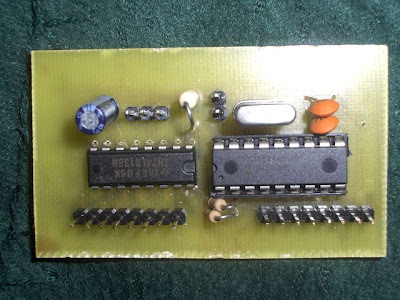 This was the one microcontroller that I built 5 programmers for, none of which worked. 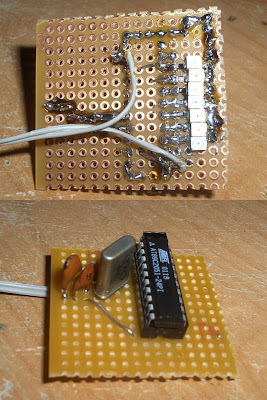 My latest try, an old version of Peter Averill's TAFE programmer did the trick however so now I am fully capable of programming them. Good thing too because I have about 5 lying around doing nothing. After finishing a 4 year old project I never managed to finish because of the lack of a programmer I built a POV device with ported and improved code from a POV example. The code in BASCOM-8051, It's currently displaying my name, alter as needed. The project I finished was actually linked to the previous article. 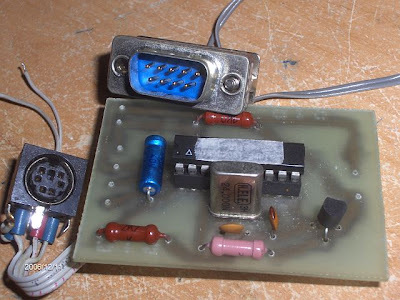 It's the PS/2->Newton Serial Keyboard converter from here. Onward, I've just finished duplicating a significant project that can be found here. 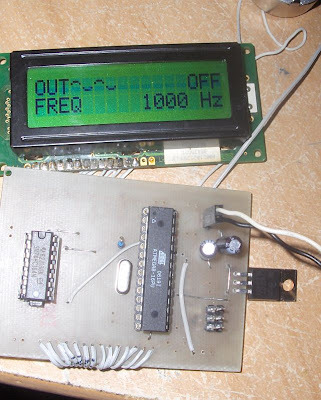 It's the AVR Signal Generator, mostly because I had a 2x16character LCD lying around doing absolutely nothing. I haven't finished it yet but. I can now verify that it's working properly. I've also revamped the MIDI keyboard driver I've built quite some time ago. The project is from this site. The PCB was badly damaged due to overheating, bad PCB quality and a use of a chemical soldering liquid which made additional soldering to the board borderline impossible(thus the overheating) However now it is completely functional again.